Create and print beautiful, one-of-a-kind wedding cards, books, and decor for your Big Day. An easy way to design beautiful save the dates, invitations, thank you cards, and wedding guest books that perfectly match your wedding. Start with a pre-designed collection or create your own from scratch. 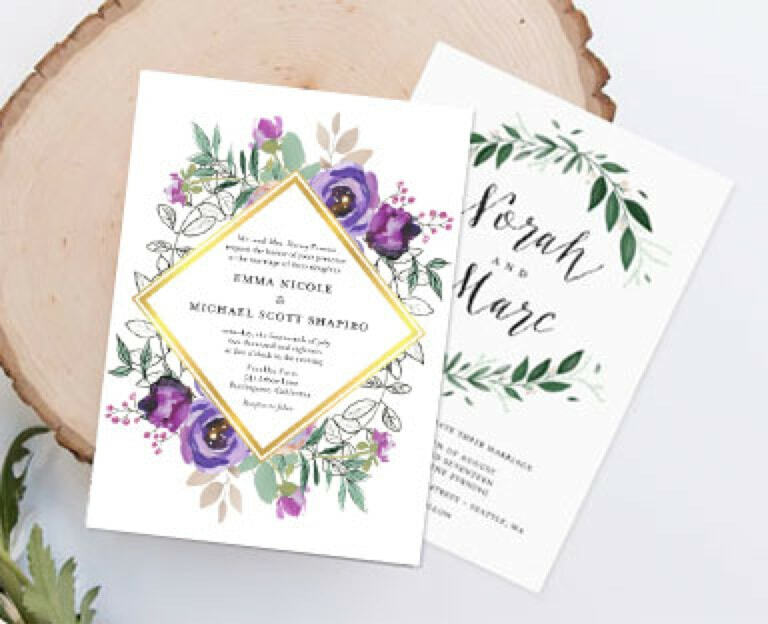 Choose from a variety of wedding card suites, premium paper stocks, and unique card shapes to create a fully custom wedding collection that reflects your style. Upload photos from your computer, Google Photos, SmugMug and other online photo sources. Move, rotate, scale and add effects. You’re not constrained to templates. Upload photos from your computer, Google Photos, SmugMug and other online photo sources. Edit and style text. Add, move, or remove backgrounds and stickers. Even upload your own! Choose real foil for an eye-catching luxurious card. Available in Gold, Rose Gold, and Silver. 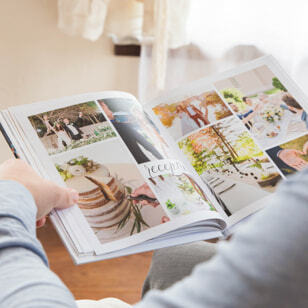 Create a stunning photo book to relive all the best moments from your wedding day. Easily upload and share photos and videos from your guests and wedding party. Cherish your favorite wedding photos and turn them into canvas, acrylic, metal, and poster prints for your home. Find on-trend ideas and tips to design your own wedding collection. Your wedding day marks the beginning of the next chapter of your life—a time when your greatest dreams have come true. You and your true love are prepared to share in a lifetime of happiness, embarking on that special journey surrounded by all of your loved ones. Close your eyes and envision the blissful moment when you join your life together with your dearest love. Wouldn't you like to pause and record this moment for all of eternity if you could? 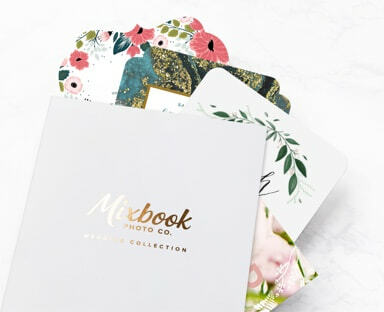 Mixbook offers a wide range of beautiful and customizable photo products to truly capture your day exactly how you imagine it. 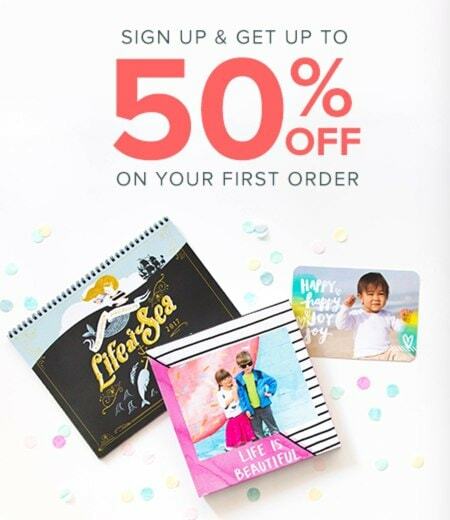 Whether it be our on-trend stationery, high quality photo books, or unique wall art, you'll cherish your big day for years to come. Our exquisite photo books allow you to do just that, capturing your most precious wedding day memories down to the detail. Create your very owncustom wedding photo books, brimming with expressive shots of bride and groom, family, and friends on your special day. Thank your parents and your new in-laws for all their support with photo books designed especially for the parents of the bride and groom. 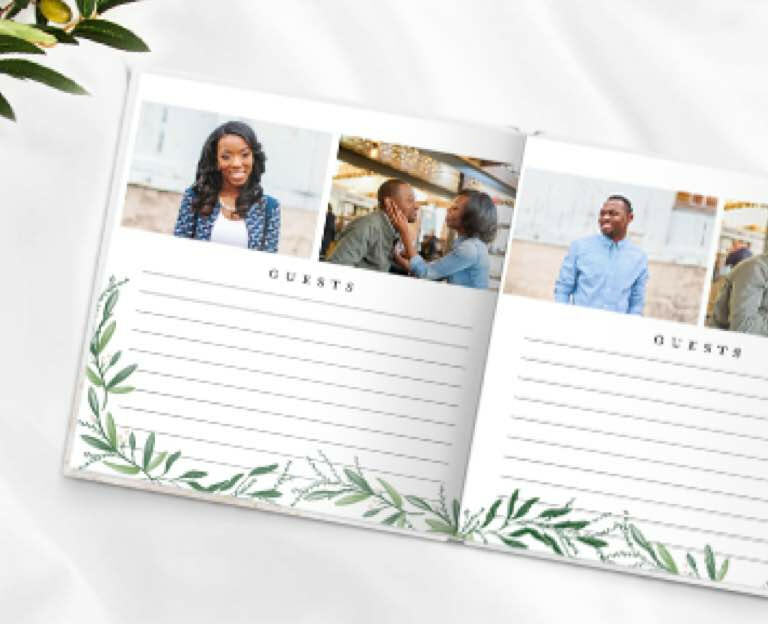 You can even create a custom signature book featuring your stunning engagement photos in lieu of a traditional wedding day guestbook. 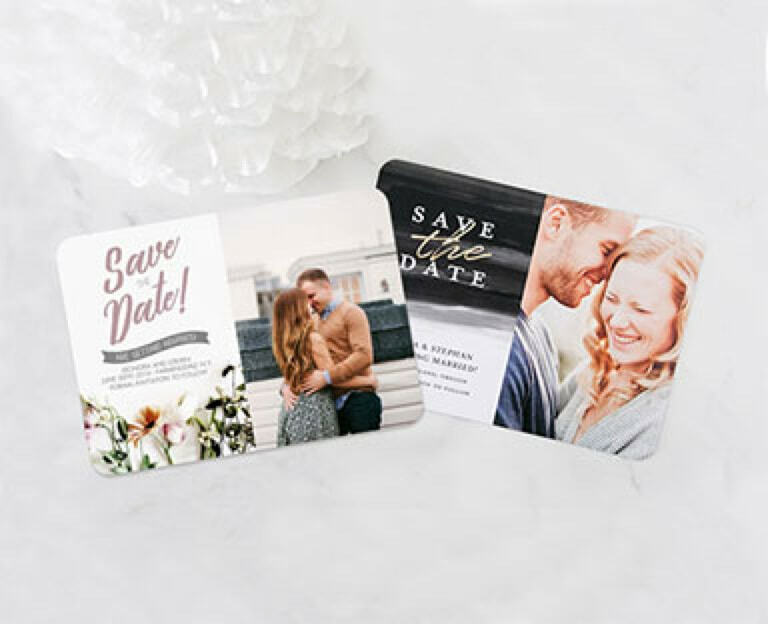 Spread the good news of your upcoming nuptials with ourcustom Save the Date cardsand communications. Choices of the finest cardstock paired with gorgeous design options convey a touch of luxury and elegance as you announce your special day. Include all the relevant details of your marriage, including the date, location, and other special things you would like your guests to know. Share the emotion of your upcoming marriage withcustom wedding invitationsthat fully embody the heart and soul of your relationship. Deluxe paper choices and striking details present you with a beautiful product whose quality is evident from the moment your guests lift the envelope from the mailbox. Our custom-tailored wedding invitations truly reflect everything you are and all that hope for your wedding day to be. Embrace the continuity of lovely design and fine artisanship with ourexceptional RSVP cards. Open each guest's response card—printed on deluxe cardstock—with joy and anticipation as your special day approaches. Include details on the meal options and any special notes regarding your guests' replies as they accept or send their regrets. Oft-overlooked by other producers, our wedding RSVP cards serve as the perfect complement to the rest of your wedding day stationery set. Dazzle your guests as you let them know how much you appreciated their presence at your wedding withcustom thank you cards. Carry your wedding day inspiration full circle with beautiful designs and your handwritten words to match. Choose from fine-textured stationery and intricate details, underscoring a signature of elegance alongside your words of thanks. The purest and greatest emotions of your lifetime culminate at this special time. Let your wedding day communications and mementos be a reflection of who you are as a couple, echoing the love and joy that you share as your wedding day approaches and endlessly into the future. Browse our bespoke wedding stationery and custom photo books to fully capture the essence of your blissful union.